Come Drink with the Extinct and support community science education! 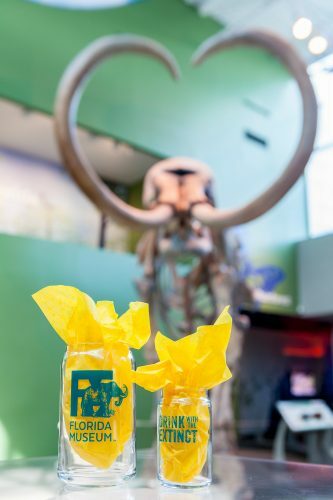 Sip brews in the shadow of the mammoth, sample local fare beside the mastodon and enjoy live music during this special night at the Museum. For more sponsorship information, contact Kara Schwartz at 352-273-2047 or kschwartz@flmnh.ufl.edu.